There are countless contraptions for carrying your baby hands-free, and it can feel a little overwhelming to know which one to choose. Mix that with the hot summer temperatures, and carrying your baby so close suddenly doesn’t seem so appealing. However, comfortable baby carrying is possible in warmer months. 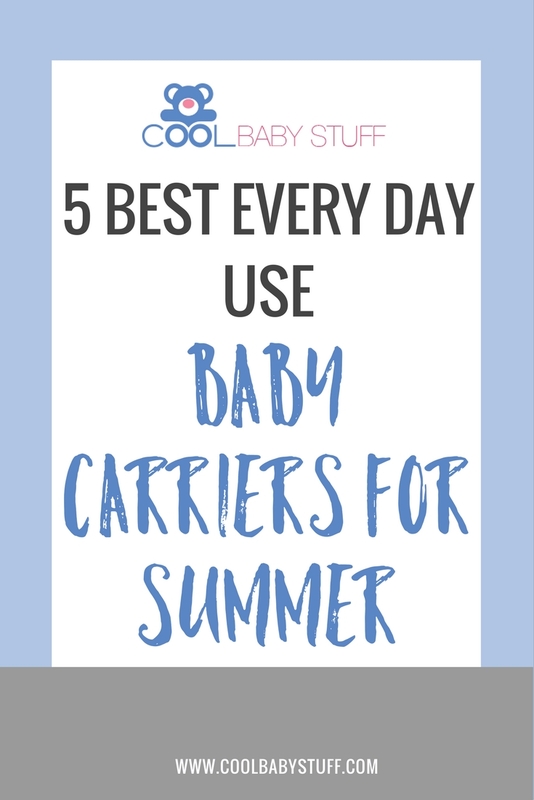 These five baby carriers for summer make baby wearing easy even in the heat of summer. If you’re going on a trip, check out this article about the best strollers for traveling. The Ergo carrier is a popular baby carrier among both women and men. It’s great for active use and can accommodate babies from newborn to toddlers. It easily adapts to users with height differences and also has a mesh fabric option for cooler carrying. You need the infant insert for babies less than 15 pounds (not included). 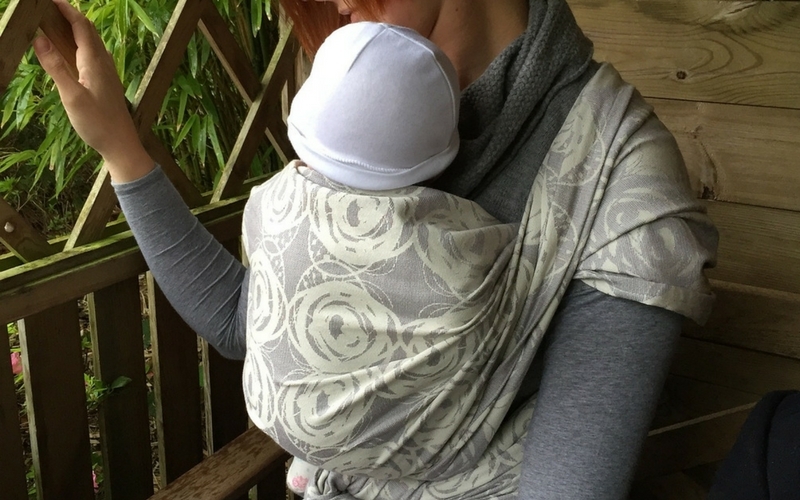 The Baby K’Tan is a great option for the parent who prefers the wrap style carrier without all the extra material. The Breeze option provides a breathable fabric for warmer months, and the Active version is great when exercising, as it wicks away moisture and sweat. The Boba carrier is similar to the Ergo in style and use. The brand has a new mesh option, which provides more breathability and lighter padding. The Boba Air is for babies 15-45 pounds and is vey compact, making it easy for transport and storage. A ring sling consists of one long piece of fabric and two metal rings. This carrier puts most of baby’s weight on one of your shoulders, so it’s more ideal for shorter uses. They can typically be used for babies from 8-45 pounds. There are many different brands, but some favorites include Sakura Bloom and Maya Wrap. Linen fabric makes for a summer friendly option. The BabyBjorn has a mesh fabric option, called the One Air. It is great for newborns (no infant insert needed!) and can be used with toddlers up to 33 pounds. There is also a “One Outdoors” carrier, perfect for hiking and outdoor use. Ultimately, it all just comes down to a matter of preference. 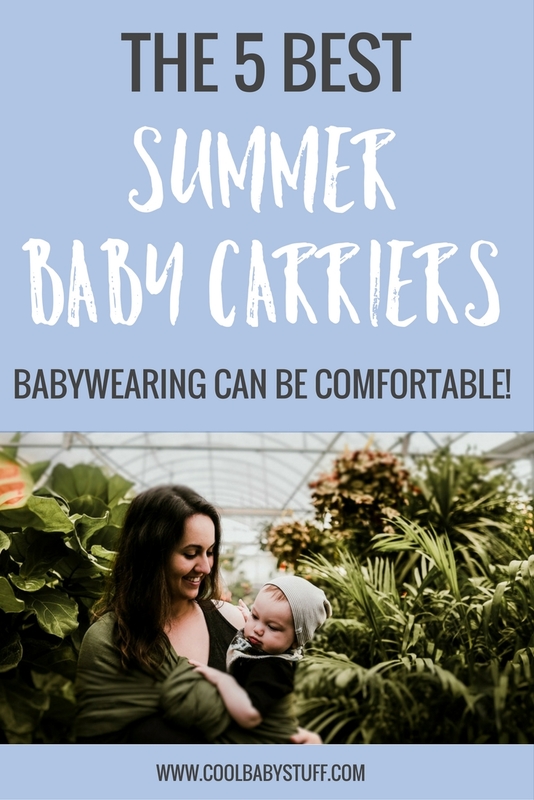 Now you know that there are options for baby carriers for summer that give you convenience without compromising comfort, and you can be on your way to hands-free baby love in no time! Find a Baby Wearing International chapter near you and attend a meeting to hear about the dozens of different carriers, try them on, learn safety guidelines and tips, and more.